The Martha Educational Foundation (MEF or MarthaEDU) is a Non-Governmental Organization (NGO) registered in the USA. MEF is exempt from Federal Income Tax under section 501(C) (3) of the Internal Revenue Service. MEF USA, is affliated with MEF Ghana, an NGO registered under the company code of Ghana, 1963 (ACT 179) as a company limited by guarantee ( Reg. G18021) that operates the PEEP-TERS EXTENSION INSTITUTES in Ghana and beyond." To facilitate transformation that empowers individuals to achieve their human potential and communities to fully utilize and benefit from local human resources. To become the replicable model of success in collaborative community services for mental health and addiction prevention and treatment aligned with employment education and career services. 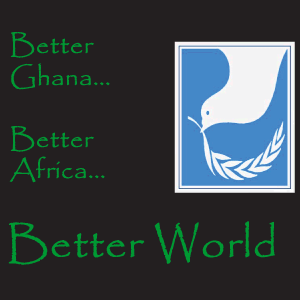 Be It Further Resolved, that the revised vision of Martha Educational Foundation shall be to orchestrate American and African resources and professionals to empower communities and assist individuals and families to live healthier or more fulfilling lives both in Africa and in the United States through collaborative programs that provide humanitarian services, and mental health, substance abuse and relationship counseling.